is not only home to one of the best food scenes, but it boasts a walkable downtown with Southern architecture as eye candy. 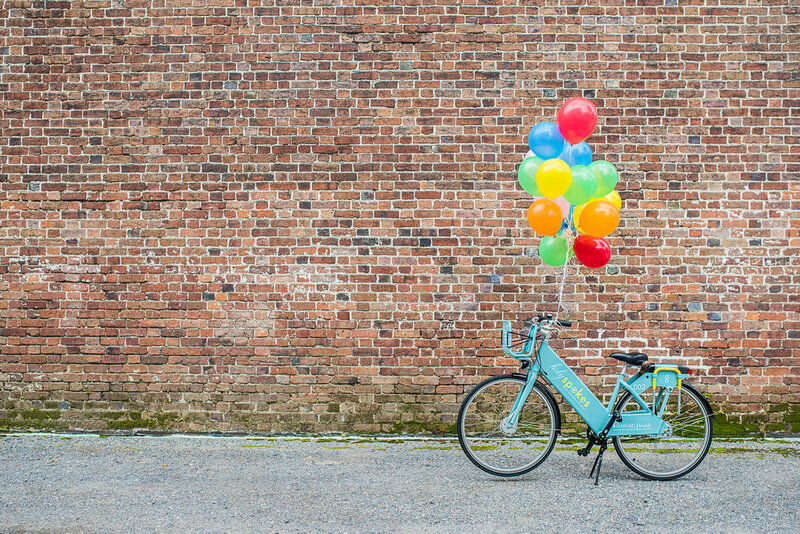 Bikabout's city guide has biking tips, routes curated by locals, and logistical resources you'll need to wander Charleston by bike. Charleston is an attractive place for the would-be cycle tourist. It has that easy southeastern coastal climate. It's pretty flat, the food is fantastic, the pace is slow, and the people are very friendly. It's full of history, it's easy to navigate, and it has a vibrant arts scene. Charleston is charming in a way that few American cities can match, and charm is important. Charm is elusive. Charm can't be planned, budgeted, or bought. Real charm happens organically over a very long period of time, usually through a combination of good decisions and dumb luck. Charleston has undoubtedly benefited from both, and rolling along its quiet old boulevards, passing block after block of old mansions framed by palm trees is a joy. A must do is crossing the Arthur Ravenel Bridge and if you have kids stop at the playground under the bridge on the Mount Pleasant side. Fat tired beach cruiser bikes dominate the local bike scene, and riding tends to be slow, casual, and upright. The rider population is very diverse, spanning all income ranges. Hand signals are rare, other than the ubiquitous friendly southern wave “hello.” You should not ride against 1-way traffic (“salmoning”) but people here frequently do. Car speeds are pretty slow, and visibility is good with mostly long straight roads. A front white light is legally required, as is a red rear reflector. We found that we needed the extra light to see by, as many of Charleston’s streets are not well lit at night. We could not find any helmet law. We found bike corrals all over town, which provide properly secure bike parking options. We also observed many, many bikes locked up outside overnight, leading us to believe there isn’t a particularly high rate of bike theft. These routes were curated by local Charleston folk who wanted to share their #BestBikeRide with you. Print off the map for free! This route celebrates the oceanic bounty of the Lowcountry, as interpreted by chefs working in highbrow and lowbrow restaurants. Photo by Holy Spokes bike share. Holy Spokes - $8/hour for an upright city bike with a front rack for carrying personal items as well as front and rear lights for visibility at night. This bike share system also features a special 30 minute “hold” feature for quick runs into the corner market or coffee shop. We're constantly updating this list of our favorite bike shops, coffee shops, restaurants, museums, scenic vistas, playgrounds, ice cream, microbreweries and more in Charleston! Follow Bikabout's board Bikabout Charleston's Airbnb on Pinterest. Charleston Water Taxi - service to Mount Pleasant, the Aquarium and Waterfront Park. Bikes allowed for free. Bikabout donates 25% of annual revenue to local advocates. 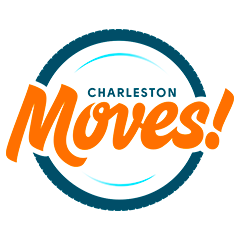 You, too, can power better biking in Charleston by becoming a member of the great non-profit below!